YouTube can be a great source for sharing information and skills. Why not try your hand at a channel of your own? As one of North Dakota State’s resident geeks, I spend much of my free time exploring the various realms and storylines of video games. In addition to the asphalt job I worked, I started my own YouTube channel. I am not the biggest channel on YouTube, by a long shot, but it is fun to have conversations with subscribers and watch to see what they have to say about each video. My channel’s theme (like almost half of all other channels on YouTube) is video games. Specifically, my channel revolves around Star Wars video games, mods and whatever else floats my boat. I decided to start my own channel because a few years ago a group of friends and I wanted to start one. We did make one, but I was the only one who did anything. Eventually, we were able to do a video together that was awesome, and that resulted in a few subscribers. Then everyone quit. Last year, I started my current channel. Part of it was due to me wanting to do something fun that was not super physical (not lazy, just lazy). Another reason was because I play a lot of video games, so why not record and talk while I play them? Currently, I have a few series in progress. The one I’m closest to finishing is the “Awakening of the Rebellion” play-through, which is a mod I covered rather extensively last year in another article for the base game “Empire at War: Forces of Corruption.” Basically, I am controlling fleets and armies of the Rebel Alliance, trying to wrest control of the galaxy from the Galactic Empire and the Black Sun pirates. At the beginning of the game you are given a certain amount of heroes from the Star Wars universe, and let’s just say I have gotten all but a few killed. Among these are our lord and savior Admiral Ackbar, who fought bravely at the battle of Kashyyyk, and Jan Dodonna, who died due to a stupid hyperspace jump and a hyper-velocity cannon. The next play-through I’m doing my best in is the “Reborn mod” for “X3: Albion Prelude.” This mod replaces all the vanilla Albion ships and eventually stations with Star Wars models. I am currently in possession of a few YT-1300 light freighters (Millennium Falcons), Marauder Cruisers and one awesome Crusader class gunship that has yet to have all its systems upgraded. Once it does, however, I will have a very powerful warship at my disposal. The only other play-through I have is one I recently started with a friend because the multiplayer had a massive update. The play-through in question is set in the fantastic game called “Space Engineers.” Like most people reading this article, you may not know much about this game, and that is all right; Nathan is here. To explain “Space Engineers,” I would like you to imagine a way better version of “Minecraft” mixed with real physics such as inertia and gravity. You can create whatever you want and watch it litter space with the wreckage of your foes. Pretty much all that has happened is my friend and I have crashed onto a planet and are now in the process of building a base. Our server is currently set to private, so we can get a foothold, but later we are thinking of making it public so we can have the very real challenge of other players coming in and wrecking our stuff. That is what my channel is about thus far. I have a lot of fun doing it and it gives me something to do on the weekends. I encourage others to do the same. 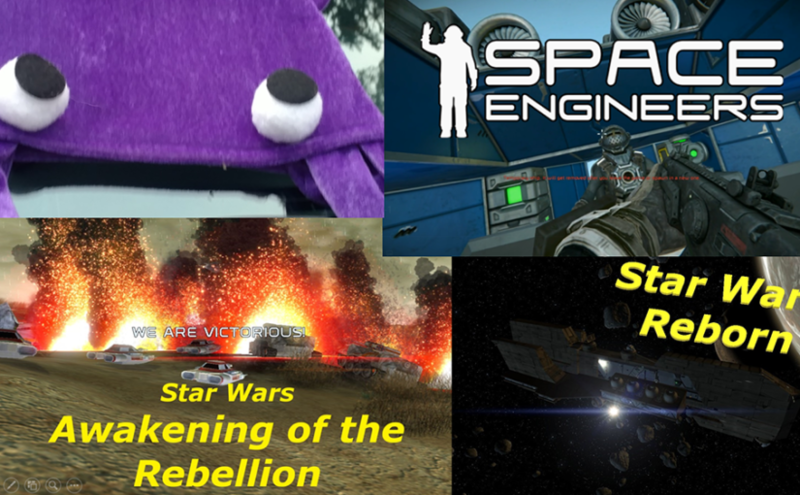 If you are interested in joining me in “Space Engineers,” my discord is “theflumpysquid,” and the invite code is https://discord.gg/reBKZpX.